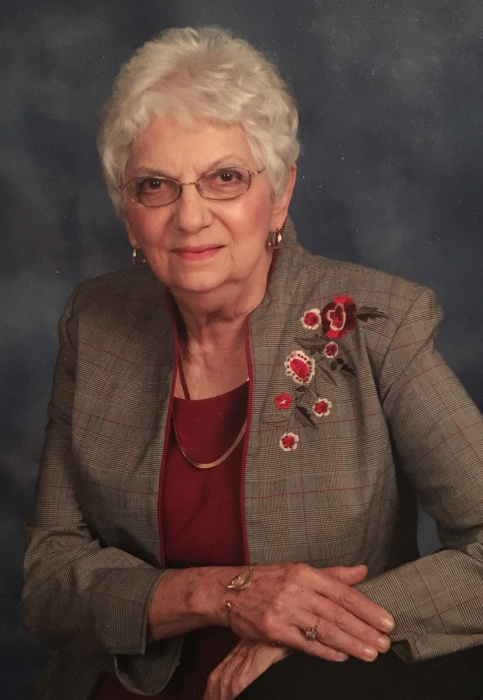 Grace Joanne Resh, 84, of Navarre, passed away peacefully with her family at her side, on Thursday evening, April 11, 2019. Born July 2, 1934, in Magnolia, Ohio, a daughter to the late Frank J. and Mary Catherine (Motter) Gottsman, Joanne graduated from Magnolia High School with the Class of 1952. While in high school she was active in band, participated in music contests and even played in the town band for three years under the direction of Lewis Wise. A homemaker throughout her married life, Joanne was a devoted wife and a loving and nurturing mom and grandma. A faithful member of St. Clement/Holy Family Parish in Navarre and active in both school and church activities including the Rosary Altar Society, she was one of the first Eucharistic Ministers commissioned for St. Clement’s and enjoyed the company of the quilting circle for several years. Her hobbies included knitting, crocheting, counted cross stitch and sewing. She also enjoyed vacation traveling with her family, especially their visits to the western states. Predeceased by her parents; her husband of 63 years, Dale H. Resh; brother, Roy Gottsman and sister, Lucille Tabellion; Joanne is survived by her daughters, Lisa Hunter, of Canton, Lori (Thomas) McInnes, of Canal Fulton and Leslie (Dennis) Doney, of Dover; her grandchildren, Samantha Nixon, of Akron, Brandon Resh and Dana Hunter, both of Canton and Chelsie Doney, of Dover. Also surviving are her sisters, Mrs. Rita Tabellion and Dorothy (Ray) Chaney, of Bolivar; sister-in-law, Mrs. Loretta Gottsman; a treasured fur baby, Zoe; and a large extended family. According to her wishes, cremation has taken place. A memorial mass will be celebrated at 11:00 Tuesday morning, April 23, 2019, at Holy Family Parish Church in Navarre. Private burial will follow at a later date. The family will receive condolences on Monday evening, April 22, from 6-8:00 P.M. at Atkinson Feucht Hare Funeral Home in Navarre. The rosary will be prayed to close the visitation at 7:45 P.M.